February 8 – FIFA have launched a social media campaign featuring 23 legends of the women’s and men’s game ahead of the Women’s World Cup with the aim of increasing global support for women’s football. 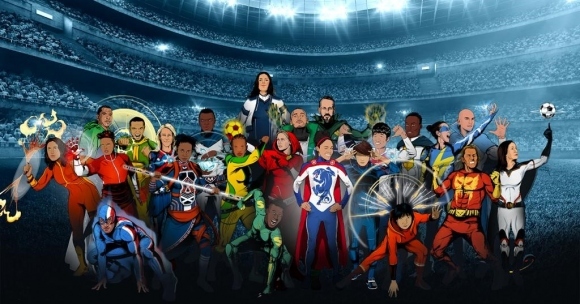 Each player is given a call to arms and transformed into their alter-ego showing them in their national team colours and sporting superpowers that range from shapeshifting to genius intelligence and X-ray vision. They will take part in almost 100 events across the world including trophy tours, Host City activations and media appearances. As well as aimed at inspiring a new generation of players, the four-month campaign objective is to drive match attendances, increase TV viewership, generate engagement.